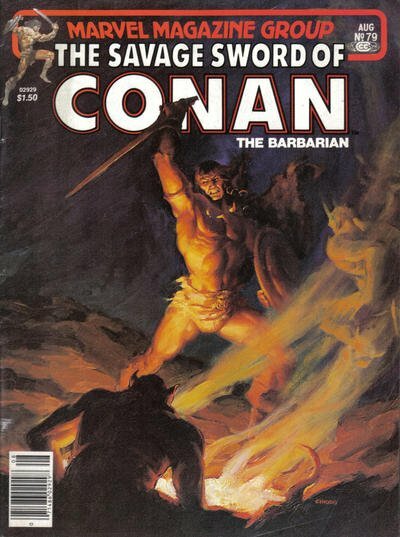 Click Here To See Savage Sword of Conan #79 Magazine! Check out this very nice Bronze Age Conan action page, which was penciled by the great John Buscema, and inked by the great Ernie Chan, from the story titled: "The Children of Rhan!" Conan appears in 3 large panels from this great wash toned 6 panel page! Conan has seen through Trelinka's treachery and fed her false information. His attack takes King Maklos' army by surprise, and Conan is able to take the city of Turbin-D'Qhat. The alchemist is killed by the king's men, and the king, is in his turn, killed by the alchemist's monster. Conan forgives Trelinka. 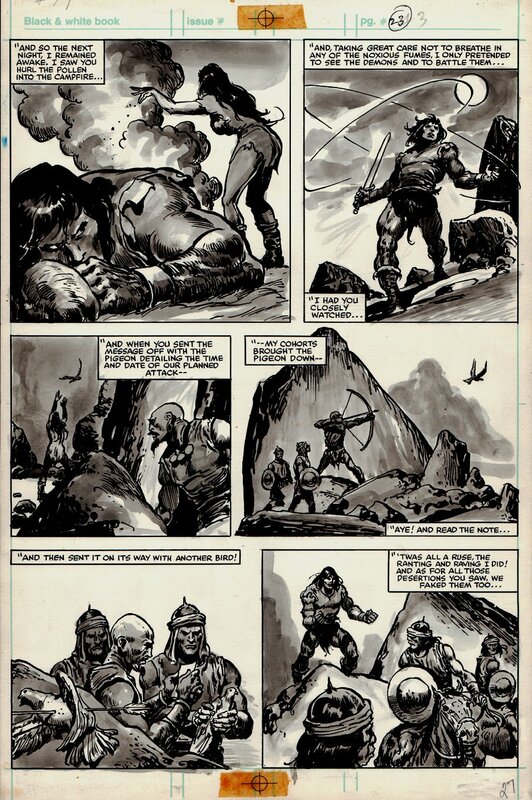 A great opportunity here to own a nice JOHN BUSCEMA Bronze Age Conan page! ALL art on our website (including this one) are able to be purchased with VERY fair time payments, and trades are always considered towards "ANY" art on our website! Just send us an email to mikeburkey@aol.com and we can try to work something out.